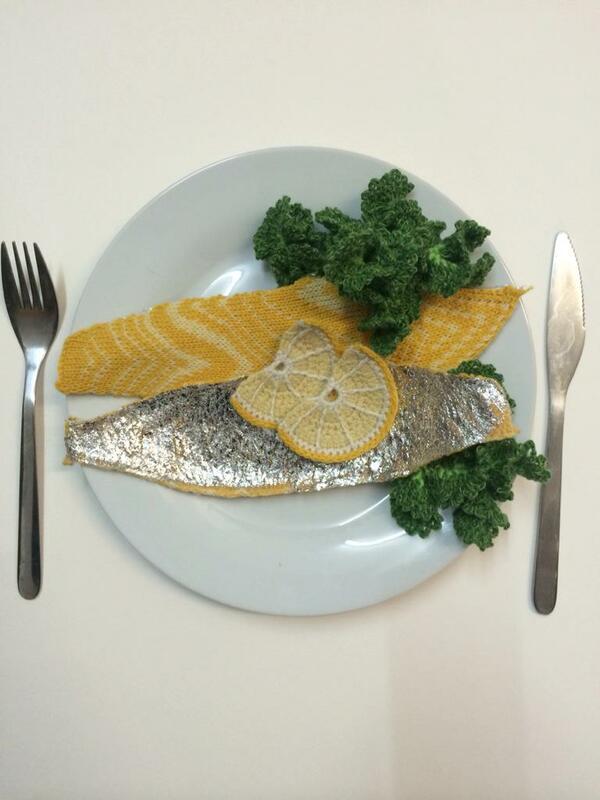 You are in Home > Blog > Out of the Blue > Fancy Fish Supper: Sequined sardines, crocheted crustaceans? 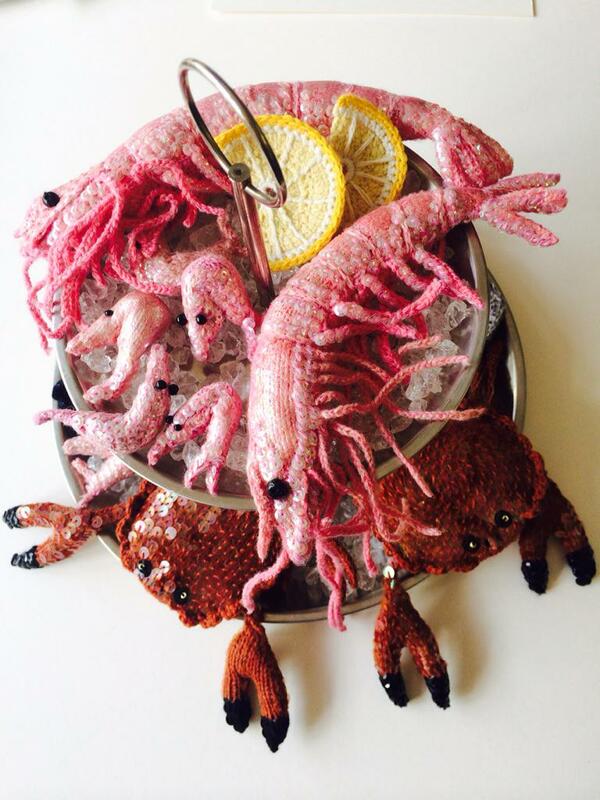 The UK, Brighton based artist Kate Jenkins has been hard at work knitting and crocheting for her forthcoming exhibition Kate's Plaice the Stitchmongers. We came accross these immaculate seafood themed creations and found them surprisingly captivating and entertaining. Just goes to show what you achieve with some wit, wool and imagination. Have a look at some of her woolly creations below and see if you enjoy them as much as we did. Head over to Kate's website for more delightful fishy themed friends, from squid in ink and oysters on the rocks (fake ice, Kate specifies) to prawn cocktails. Also available to purchase. Kate's work will be exhibited on a fish counter at Alexander Palace in London between the 7th and 11th October at the Stitching and Knitting Show.